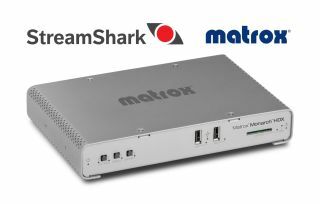 Matrox announced StreamShark’s implementation of Matrox Monarch encoding and streaming controls into their event video CDN. Matrox Monarch streaming appliances can now be remotely managed via StreamShark—allowing users to start, stop, and redirect streams—as well as change inputs from the StreamShark Dashboard without needing to touch the Matrox device. Combining the robust performance of the Monarch H.264 encoding and streaming appliances with the innovative capabilities of the StreamShark video CDN, such as dual-ingest (primary/backup with automated failover), global multi-CDN and P2P delivery, and end-to-end encryption, delivers a best-of-breed solution for live streamers everywhere.